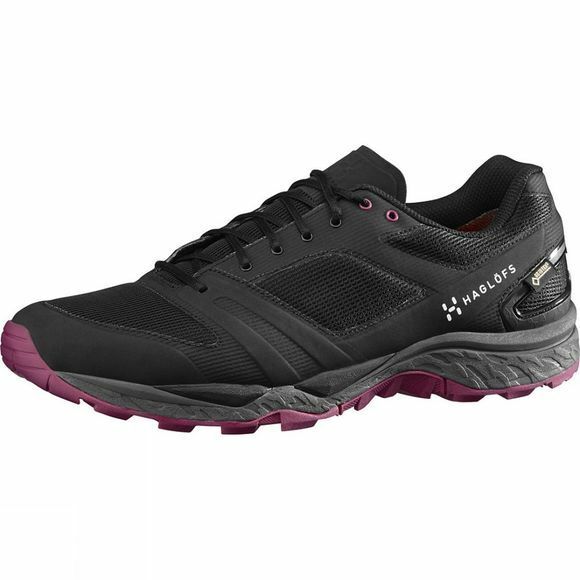 Superbly cushioned and designed smartly to provide the support you need when you're hitting the trail. Built to provide comfort and protection, with the right materials for the job. 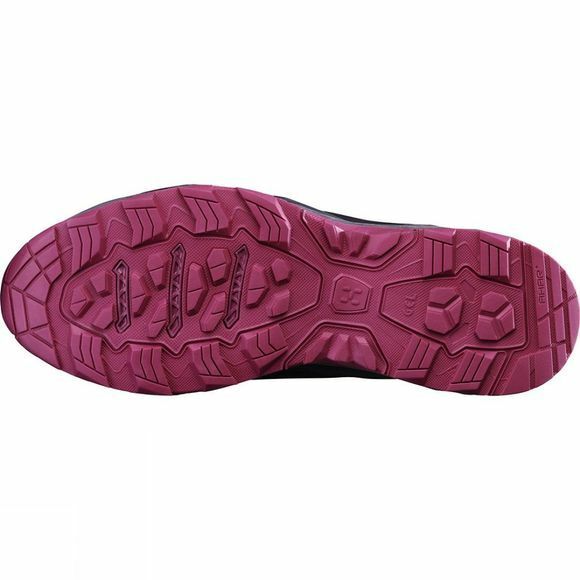 The Haglöfs Women's Gram Gravel GT Shoe's assembly provides extreme comfort and protection on demanding terrain: shielding your feet from obstacles and the elements, providing outstanding shock absorption and giving solid grip and abrasion resistance over a long lifetime. The materials used stand testament to the quality. Gore-Tex Extended Comfort for dryness and comfort, a GEL rear foot cushion to absorb the impact, and Asics High Abrasion Resistance Rubber on frequent contact areas on the outsole all lead to this footwear being an outstanding choice for running in tough conditions and inhospitable environments. Design and build take it one step further. Heel counters and a rock protection plate add support and protect your feet from sharp sticks and brutal rocks. The tongue design keeps bothersome grit on the outside, and the laces can be tucked away to avoid discomfort and inconvenience. Plus, the minimalistic upper is designed to be protective, supportive and mobile.